The RICOH SP 213Nw and SP 213SFNw takes up less space on your workstation and hardly makes any noise while printing. When we talk of printers generally, this bulky machine which would end up taking half the space on our workstation comes into mind. It’s not that there are no smaller printers out there, but generally the smaller printers lack a lot of features which are mainly available in the bigger printers. And thus, it seems better to just buy a printer big enough for the whole office to use. But the RICOH SP 213 series combines high productivity with ease of use in a compact package. Compact enough to fit on a desktop, and so quiet it goes unnoticed, the single function series RICOH SP 213Nw is the ideal A4 black and white printer for home and small offices. 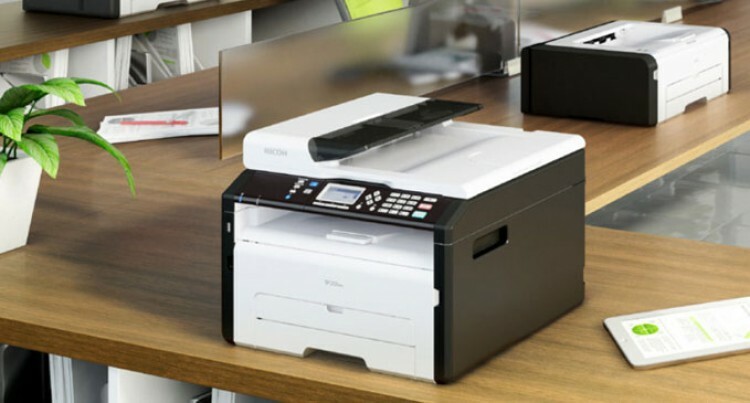 On the other side, the fast print speed, colour scanning with high speed G3 faxing that enhances office performance, the multifunction RICOH SP 213SFNw is extremely easy to operate. This is via the user-friendly 4-line LCD panel and everything can be done from the front of the device. ID card copy is another time-saving feature allowing you to copy both sides of an ID card onto one side of paper. You can also send print data directly from a smart device such as a smartphone or tablet as both devices are network compatible – so just connect it to your router and start printing. To top it off, paperless fax reception, manual double-sided printing and a high-yield, all-in-one print cartridge (drum is included in toner cartridge) reduces your overall costs. It increases reliability as you don’t have to worry about accepting dirty copies being present on your printout. The two printers are now available in Fiji through South Pacific Business Systems. The SP 213Nw is being retailed for $368 while the SP 213SFNw is sold for $690.